An accident injury is an unplanned event that takes place in a person’s life without warning, with some accidents requiring assistance from a lawyer to reach closure is a necessity. As many accidents in California often present complex problems in regards to long term and short term health and medical effects, professional help from a lawyer is advised so the client can continue their life post-accident injury with minimal damage to their well-being and medical expenses. Thankfully, we’ve put together some excellent advise regarding personal injury/ accident injury case information and how a potential client may have a case on their hands if the situation was simply being at the wrong place at the wrong time. With this being said, here’s a look at personal injuries and where an accident injury fits into this category. A personal injury in California covers a lot of territory when it comes to psychological and the various different accident injuries. As a personal injury case covers many different situations that an accident can bring forward, there’s still additional damages that can stem from an accident and require attention. Referred to as compensatory damages, these post accident damages can quickly pile up on a victim during their road to recovery. 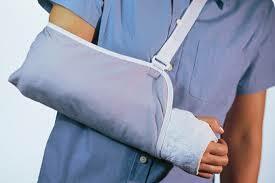 Medical Treatment – Medical costs can easily become the most expensive process an accident may require for an injury. These numbers are evaluated and can be applied to a case if further treatment needs to take place for a client to recover. Income – An accident can cause serious collateral damage when it comes to a person’s income. In addition to possibly effecting a job, the unforeseen costs associated with rehabilitation and recovery can be staggering. Loss of Property – Many cases regarding accidents often result in a loss of property, such as a car. As a vehicle needs to be replaced for transportation, an accident can be very costly on behalf of the victim. Pain & Suffering – A person entitled to compensation due to the pain and suffering that may have been associated with the accident. Emotional Distress – A great deal of emotional distress can stem from a serious accident. These damages compensate the psychological damage attributed to accidents such as sleep loss, anxiety, and fear. Some states categorize emotional distress with pain and suffering. Loss of Enjoyment – Loss of enjoyment damages are attributed to serious injury from an accident. Since serious injury can lead to the loss of recreational activities, exercise, or hobbies, it may entitle an individual to compensation. Loss of Consortium – These damages are related to the plaintiff’s spouse. The loss of intimacy and companionship are where loss of consortium come in effect as these instances may entitle an individual to compensation. Punitive damage is considered if the defendant’s behavior towards the matter was excessively careless or egregious. When dealing with a personal injury case, the plaintiff may be entitled to more funds due to the situation or the extremes of the personal injury. Punitive damages are often added on top of compensatory damages as a method of punishing the defendant. As many cases involving punitive damages often run into the million dollar mark, many states have placed a cap when applying punitive damages on personal injury cases. 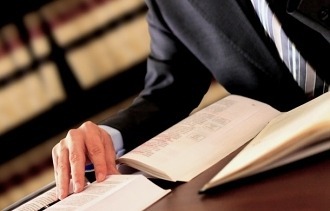 Comparative Negligence – If the plaintiff is at fault – even remotely – it can effect the award. In cases as such, the award or compensation will reflect the situation. Contributory Negligence – Some states use contributory negligence in instances where the plaintiff is remotely at fault… which terminates any chances of compensation or award. Failure To Mitigate Damage – If the plaintiff takes their time to address a case or fails to receive medical treatment immediately after an accident… a failure to mitigate damage may be in order. 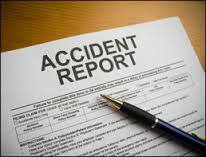 An excellent example could be an accident without a police report or failure to contact police after an accident can drastically effect compensation to the plaintiff. Provided the information above, it shows that it is very important to contact a California Injury Lawyer as soon as an accident takes place. 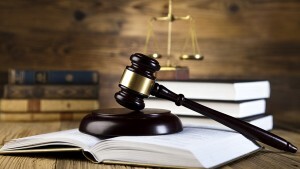 Failure to do so not only effects the outcome of the case, but it harms the plaintiff’s opportunity to receive their well-deserved compensation. If you have been involved in a California car accident injury, truck collision, train injury, injured at work, injured on the construction site, injuries at no fault of your own, motorcycle injury accident, catastrophic injury, injured while driving work vehicle, medical negligence, slip and fall, dog bite or dangerous product injury.